Thanks so much for all your great response for the 3WayLinks special offer I arranged. So many of my subscribers rushed into the membership (and some even forgot to ask me for the bonuses 🙂 But I also see members that cancel their subscription too early. SEO is all about getting long-term results. And the time involved is how you “pay” for generating long term free traffic to your websites. => Question #1 – Does 3WayLinks accept any kind of site? Answer: Your sites must have at least 2 pages indexed in Google and support PHP scripting. One another thing I should point out that they also don’t accept “faith-based” sites into the network, or sites with religious content, just because of Jon’s own religious faith. So you may get problems with sites on Mythology or Christmas. It may sound silly to some people, but if you want to benefit from their hands-off and effortless link-building service you must beware of that. => Question #2 – 3WayLinks require that sites must have at least 2 pages indexed in Google. Can you help me get listed quickly so I can get into the network? Answer: One of the easiest ways to get your site indexed is by placing a link to your new site on your established sites. The higher the Page Rank of your existing site, the faster the new site will be indexed. Another good way is to bookmark your new site with some popular social bookmark sites like digg.com, delicious.com. => Question #3 – If i sign up to 3WayLinks will I have too many links per day being generated? I don’t want to get sandboxed by Google. Answer: The full link building process with 3WayLiknks is automated and that’s the appeal. The network spreads links slowly, at the rate of 0 to 8 links per day. That means that there will be some days where no new links are added, and some days where as many as 8 are added — which is how natural linking occurs. Once your site reaches 250 inbound links, the process stops. This usually takes about 60 days. => Question #4 – What if 3WayLinks is not working any more, like Google “clamp it down” or “penalize it”? Answer: You won’t get penalized because 3waylinks is not some unethical “blackhat” tactic or spam at all. Even if Google clamp it down, they’ll just discount 3 way links or cancel the link values. Yes, there is a “risk” involved. However, risk is everywhere dude, like when you crossing the street or driving your car. And if it is not working any more – just cancel it. Is this program support other language website moreover from English language site? One of my sites is on the Law of Attraction, is this something that would be accepted or denied? I think your site should be working fine with 3waylinks, which will be accepted in the “self-help/inspirational” category. Everything You've Been Told by SEO "Gurus" is a Lie! We will NEVER rent, trade, or release your information to any third party for any reason. We respect YOUR email privacy and hate spam. How to Choose the Money Keywords & Cash In with 3WayLinks.net System – Guaranteed! I bet you've already heard about Jonathan Leger's 3WayLinks network, been sent to their sales page but weren't sure if the 3WayLinks was just another scam or your true SEO savior, right? My name is Henry Zeng, and I’m an veteran marketer started my Internet marketing career when I was 19. However, I just want to tell you whether 3WayLinks works or not and my own 3WayLinks profiting tips from my online marketing experience. 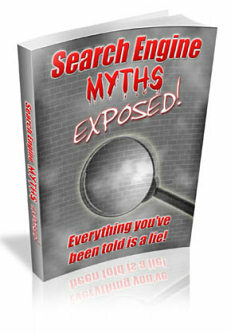 New FREE report exposes the most destructive myths and lies being spread about how to rank in Google! Myth #4: To Maintain Good Rankings, You Must Add New Content... And Much More! Your information will never be sold or shared... NEVER!